Rethink your garden store purchases. 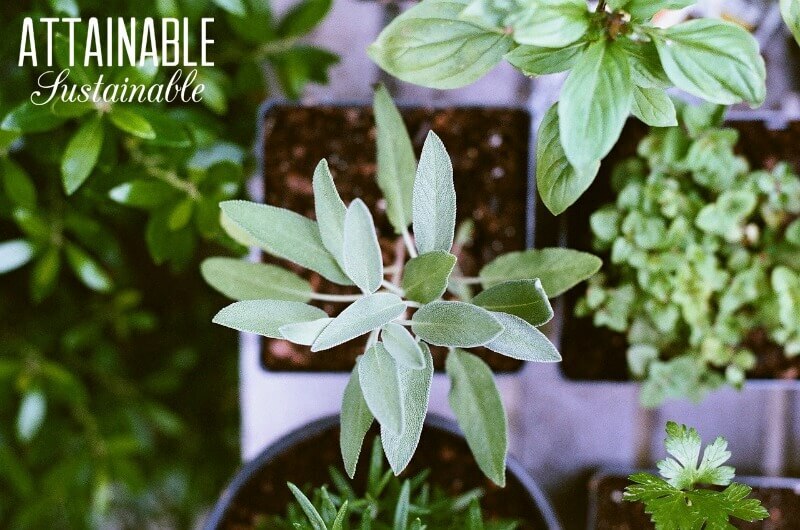 Instead of buying organic soil at the nursery, you might be able to make some of what you need right at home and save money! 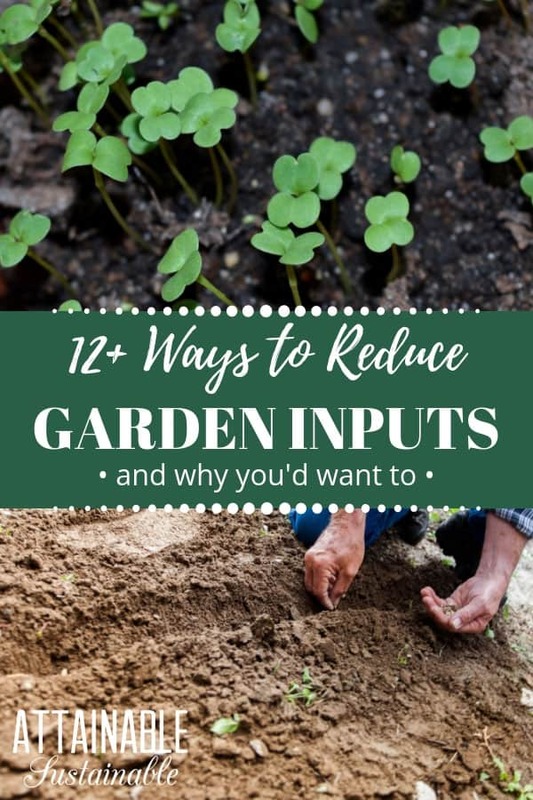 Reducing inputs in the garden is better for the environment, too. 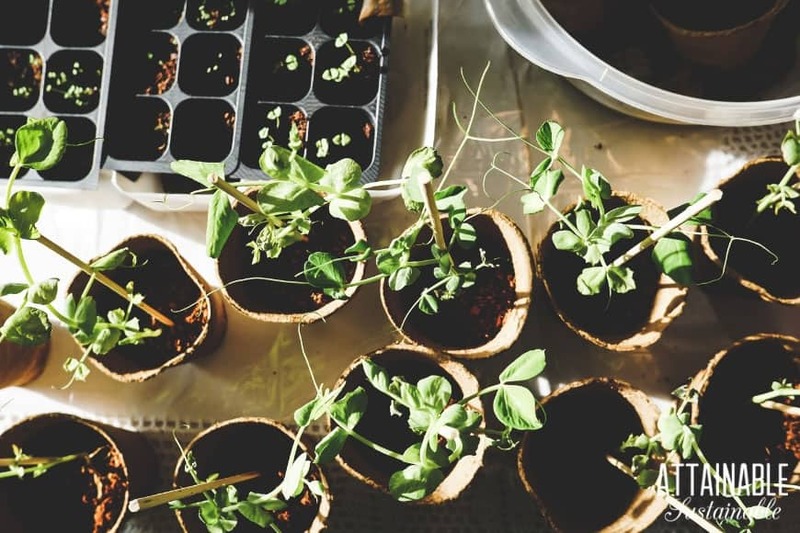 Starting a garden often begins with a trip to the local plant nursery for organic soil, bagged compost, seedlings, fertilizer, and any number of other supplies to get growing. Truly, those spring visits to the garden store after a long winter hold so much promise! So many seeds and things to grow. So many ideas for beautifying your outdoor space. And so much money spent. But it’s not just money spent. Buying supplies at the garden store every spring means you’re dependent upon that store to get your garden growing every year. Reducing your dependence on that store adds to your self-sufficiency and is more eco-friendly as well. 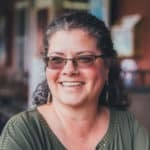 This is not to say you’ll never shop there again; just that there are some ways you can cut back on what you need to purchase, thus saving money, using fewer resources, and preventing some potential damage to your garden. Less waste. Every bag of organic soil or compost product sends a piece of plastic to the landfill. Smaller footprint. Those bags of topsoil, potting soil, fertilizers, and potted plants all came from somewhere else. On a truck, on a train, or in my case, on a barge. Importing products like this requires fuel and results in vehicular pollution. Plant disease. A reputable garden store is generally good about making certain that the plants they offer for sale are free of disease and pests. But there’s no guarantee that the tomato plant you buy isn’t carrying powdery mildew. Or that the pepper plant you bring home doesn’t have a hard-to-spot invasion of scales. Importing pests. We have a number of invasive species here on the island that we don’t want to spread. Coqui frogs are one. Little fire ants are another. Coqui frogs arrived here from Puerto Rico in a batch of (you guessed it) nursery plants. Now they’re insidious. Some regions aren’t as impacted as others, so checking plants for eggs is critical. Fire ants have moved around the island in truckloads of compost and mulch, exacerbating the problem. You probably have different pests in your region, but moving dirt, plant materials, and animals from one place to another offers potential to import something you don’t want at your place. Weeds. When you bring in garden products from off site, whether a truckload of compost or manure or a bunch of potted plants, you risk also bringing in weeds. Poison. Importing straw for mulch or straw bale gardens has become problematic for some gardeners. A sneaky, persistent pesticide has been known to remain in straw and it can stunt the growth of a garden. Synthetic fertilizers are suspect when it comes to the health of our planet. Do you really want your family spending time in close proximity to this stuff? Choosing to make natural fertilizers at home will eliminate health risks as well as the production waste to create these products. Bringing materials in from the garden store or anywhere always comes with a risk. I’m working to create more of what I need right here on site. It’s not a closed loop yet, but every little thing I can generate here rather than importing reduces those risks and saves money. Instead of buying what we need to improve our garden soil, or fill our garden beds with plants, I’m working to create more of what we need right on site. This will be more challenging for people who are living on city lots, as some of these efforts take some space. If you can, leave some of your space wild. Let the grasses and weeds grow, then cut them for mulch or (if you’re afraid they’ll take root) compost them using this method. Weeds grow like crazy! They’re free! Might as well utilize them. As you see above, we’re using planks from downed bananas to mulch the garden. It looks a little funky now, but as the plants grow in size and the banana breaks down, it will be less visibly odd. Invest in a bag for your lawn mower. Those grass clippings are valuable mulch produced right on site. Compost. Compost everything. Your junk mail, cardboard, paper bags, kitchen scraps, toilet paper tubes. Composting diverts trash from the landfill and turns it into valuable fertilizer. It’s a great way to build organic soil. 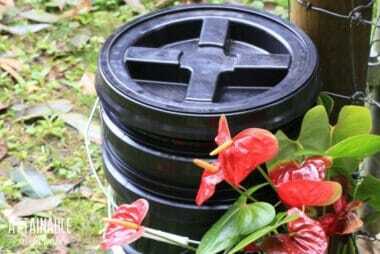 Make a worm bin for composting in small spaces. Make your own potting soil. Here’s how. Invest in a chipper. This will allow you to turn tree limbs and branches into wood chips. Use the wood chips as is, as mulch around trees and shrubs, or let it sit in a pile until it turns to rich compost. We have invasive strawberry guava on our property. A lot of it. After considering numerous options for removing it, we opted to go this route. We call it our “vertical mulch.” The open area in the image above used to be thick with trees. As we clear, we intend to plant more fruitful trees. Make your own liquid fertilizer. Compost tea is easy to make and you can even brew up your own fish fertilizer. For a really low input liquid fertilizer, get over your squeamishness and consider using urine in the garden. 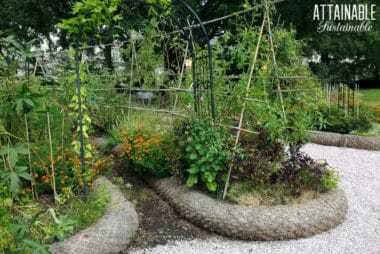 Grow some plants that are specifically intended for use as mulch or green manure. 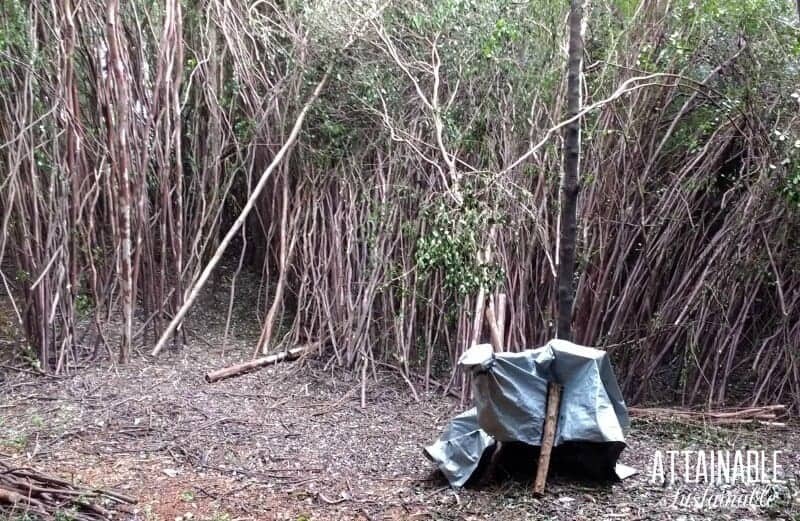 This is a permaculture technique for improving soil. Read more about that here. 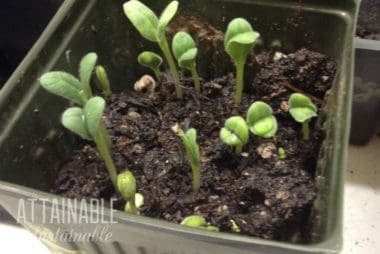 Try starting your own seedlings at home. Here’s how. Save containers (tin cans, yogurt containers, milk jugs) in which to plant your seedlings. No need to buy special seed pots. Learn to save seeds and take cuttings from the plants you’d like to increase or regenerate in your garden. Keep an animal that produces manure. Plant a chicken garden and employ other methods (like these) to reduce the amount of commercial feed you need to bring in when raising animals for manure. Consider using human urine in the garden. Getting soil test is really helpful before gardening. This will provide you right feedback and you can grow according to requirement. I agree. Soil tests are important, and more nutrients are not always better, just like with our bodies and vitamins, the soil can get too much of some things. I felt certain my soil test would reveal acidic soil, but the opposite was true. Without the test, i would have added lime and it would have been a mistake! My British friends always work a little wood ash into their soil when planting, which has in it potassium and phosphorus… but you must be careful you don’t use too much. I mention it because it is another amendment we often have available to us and its very useful. Local and urban farms are often looking for people to take manure. Learn about types of manure first, and how it is being composted, so you can avoid pathogens, weeds, and nitrogen burn. I keep a fast compost and a slow compost. The fast one gets put into it what is usually recommended for composts. 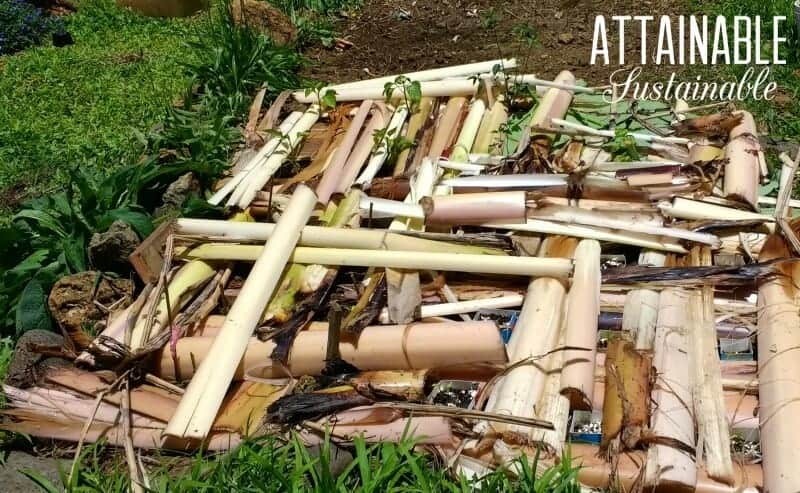 The slow one gets other items that break down eventually, but usually are not recommended for compost because they slow it down… things like broken wood, dirty cooking oil when we had it, and any other organic material that we can’t recycle. We do recycle nearly all of our paper and cardboard, which is a more sustainable way of dealing with it than giving tree products only one use before having to cut down another tree. Some cardboard we use as a weed barrier before mulching, instead of plastic weed cloth. Recently I got a Bokashi bucket, and recommend it. I got it partly to avoid the chore of taking compost out daily. I empty it only about once a month, and it doesn’t smell. We can also put things into it we can’t put directly into our compost pile, like the cheese sandwiches my husband takes to work and doesn’t eat (haha), and small amounts of meat. I later empty the bucket into the compost pile, but some folk bury the contents.